Monika Bright is a Professor at the University of Vienna, Austria and is appointed speaker of the Center of Functional Ecology at the Faculty of Life Sciences. 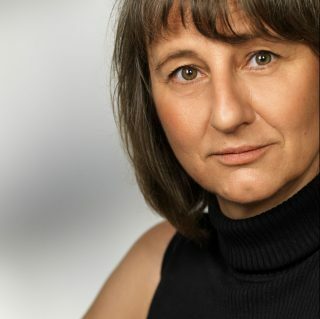 Monika received her Ph.D. in zoology and paleontology at the University of Vienna in 1992 and her habilitation in marine biology and zoology in 2001. Her research interests cover the ecology and evolution of microbial – eukaryote mutualism, such as the deep-sea hydrothermal vent and cold seep vestimentiferans tubeworms and shallow-water ciliates with chemoautotrophic symbionts. She currently focuses on testing theoretical evolutionary models with various experimental approaches. On this cruise she will be working on how the endosymbiont of the giant tubeworm manages to escape the host and live in the vent and deep-sea environments. This is Monika’s 16th deep-sea research cruise and her first to the Guaymas Basin aboard the R/V Falkor this year.